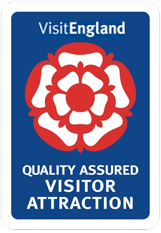 Anyone who has been to Odds Farm Park, knows this childrens farm has an excellent Gift Shop and this Summer, those on a family day out, have a new summer range to browse, alongside much loved ‘old favourites’. 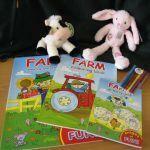 Recently introduced is a childrens Farm Activity Pack. Complete with puzzles, pens, colouring books and quizzes, it’s a great way of extending the fun of your day out with the kids. Currently it’s available at a special introductory price of £1.99. The new summer Gift Shop range also includes cuddly farm toys, farm books, kids funky farm teeshirts and great sunhats; each providing a fantastic memento of a great family day out. Elsewhere at Odds Farm Park, family days out include meeting new baby animals and hundreds of Furry Friends, joining in with Hands-on Animal Activities and watching the fun and educational Animal Demonstrations. A day out wouldn’t be complete, however, without the Go Karts, Indoor Playbarn with Bale Climb & Astra Slide and Outdoor Log Play Adventure areas.